There’s a guy out there in the party. You see others around him talking, laughing and socializing. The guy looks handsome but he’s quiet. He is with his friends but you don’t see him talking much. Nobody pays much attention towards him because of his silence. You might think he’s socially awkward or he’s not smart. It might occur to you that he is feeling out of the place. Perhaps, he lacks intellect and hence, he cannot communicate with others. But are you really sure whether you are right or not? We find a lot of people around us who remain silent for most of the times. They usually don’t say much, be it in their professional meeting or a friendly one. In any social gathering, there are always two types of people: the extroverts and the introverts. The ebullience of the extroverts can be noticed from the very beginning. They are always bubbling with energy; they are ready to talk to you even if you are a stranger to them and are always excited to share their ideas with you. 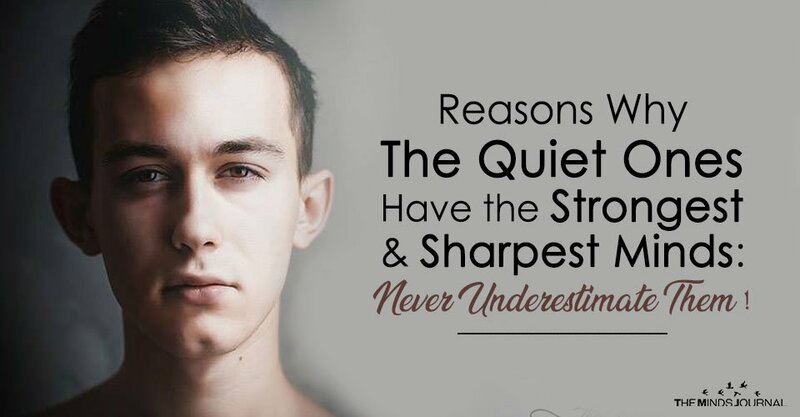 The introverts or the quiet ones are the ones people tend to miss out on. They remain so silent that they often remain unnoticed till they time they start to speak. They are keen observers and listen to each and every minute detail of conversations going on around them. Introverts observe the body movements and facial expressions of people and connect them to whatever they are saying. They think as they observe. And finally, when they speak, their insight, their wisdom, their creativity creates something beautiful, something magical that takes all of us by surprise. Quiet people are the most intelligent among us. They are clever and creative. If you consider their quietness as a sign of withdrawal from the society, you are making a big mistake. They aren’t as vulnerable as you think. The truth is, they are just the opposite. You are with a group of friends and most of you are talking. While you are talking continuously, you are focusing on yourself. At the same time, the quiet one in the group is observing you and others. Most of you are busy expressing your ideas and hence you can’t focus on what others are thinking or how others are reacting. Since the quiet one is silent, they listen to what others have to say. They speak when there is nobody else left. When it is their time to speak, they know the ideas of everyone else and having done that, whatever they say turns out to be wonderful and it’s a culmination of their own thoughts as well as the thoughts of the rest of the group.